Economics students gather in front of the flags where cabinet members are sworn in. What better way to grasp an understanding of economic policy than to rub shoulders with those who influence it at the highest levels of government? 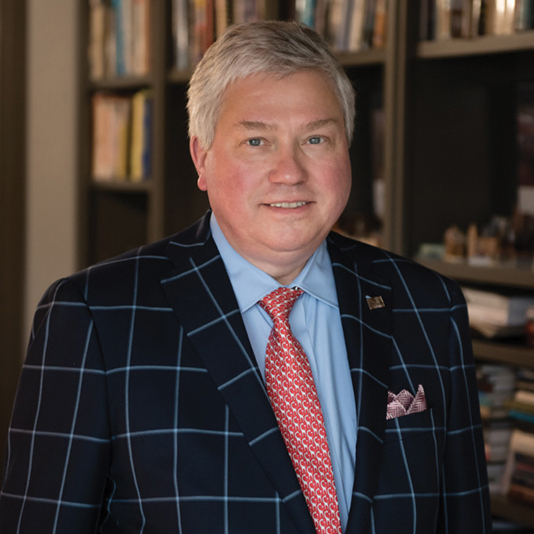 That was the mindset of the family of the late John Harris ’74 when they created an endowment that allows for senior economics majors to visit economic policymakers in Washington, D.C., each spring. 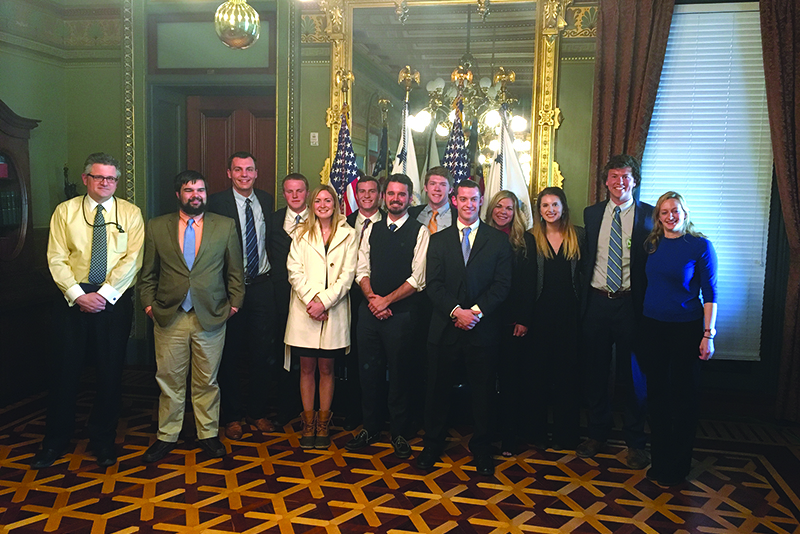 Fourteen College of Business students from the John E. Walker Department of Economics recently returned from the nation’s capital, where they met with high-level economists in government and think tanks as part of the Senior Seminar in Economics. 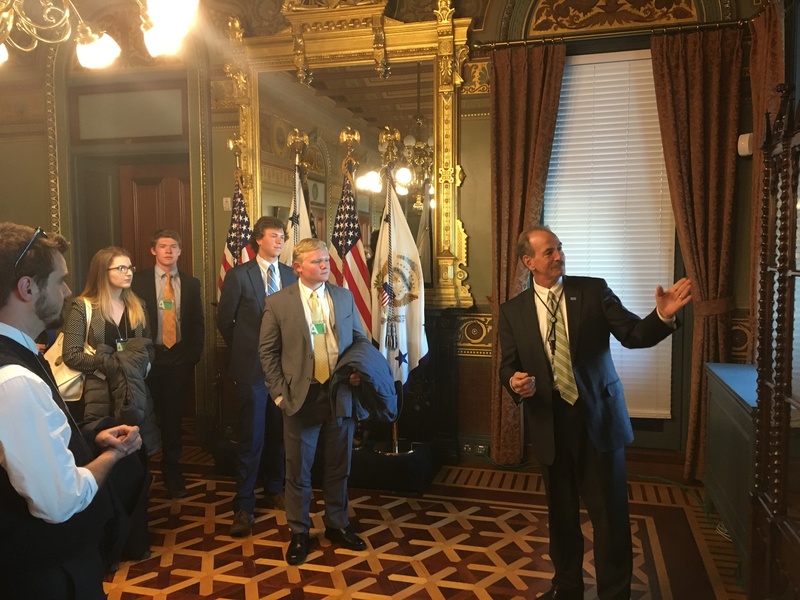 Students met and asked questions of Mark Calabria, chief economist for Vice President Mike Pence in the Eisenhower Executive Office Building adjacent to the White House. In addition, the students visited the Federal Communications Commission where they met Craig Stroup, a senior economist at the FCC and a ’96 Ph.D. graduate of Clemson. 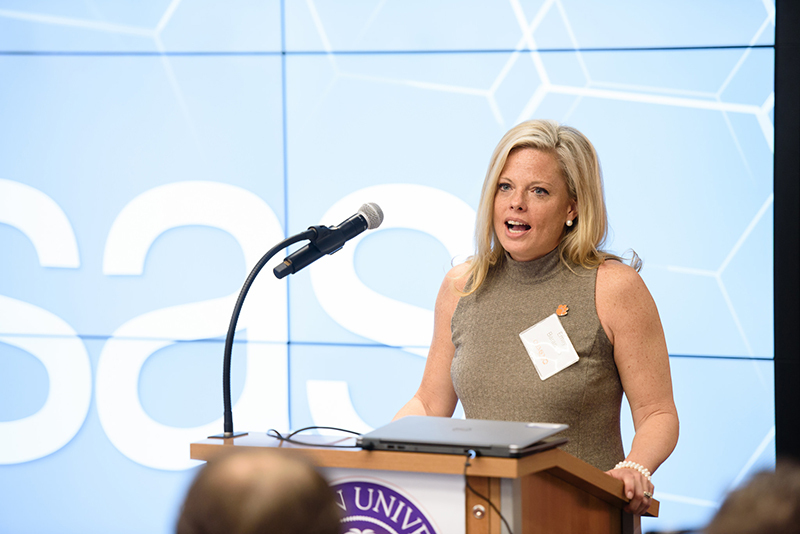 Lani Czarniecki, deputy assistant to the vice president for external affairs, gave Clemson economics students lessons on the VP’s flag and other historical artifacts. The group also visited the Brookings Institution and had a meeting with Will Ensor ’15 who studied economics at Clemson and is a research assistant at the American Enterprise Institute think tank. While at AEI, students attended a discussion, “Improving Economic Opportunity in America,” featuring renowned Stanford University economist Raj Chetty and Jason Furman, chair of the Council of Economic Advisors in the Obama administration. Members of the Barnes family cut the ribbon for the Barnes Center. 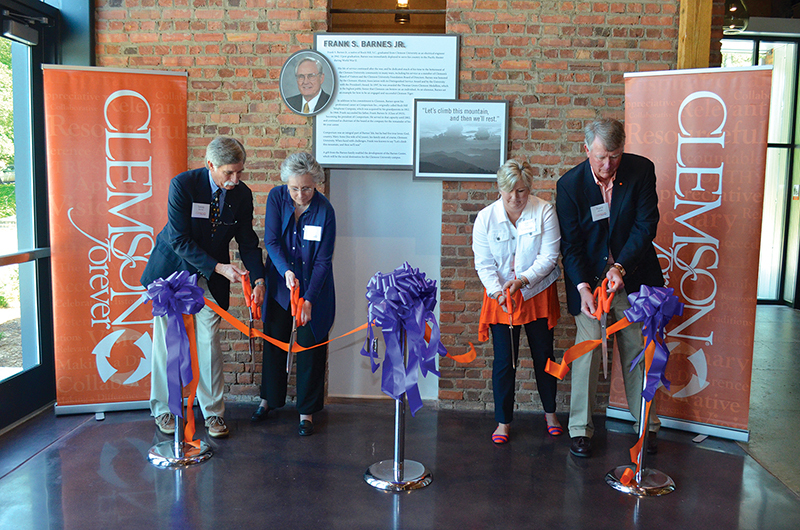 In May, Clemson held a ribbon cutting for the “new” Barnes Center, a spot where students can hang out with friends, relax and attend late-night programming on Thursday, Friday and Saturday nights. The historic Barnes Center began as the Clemson College Experimental Barn or Sheep Barn. It is the oldest surviving and relatively intact structure associated with the original Clemson College Agricultural Department and was built in approximately 1904. 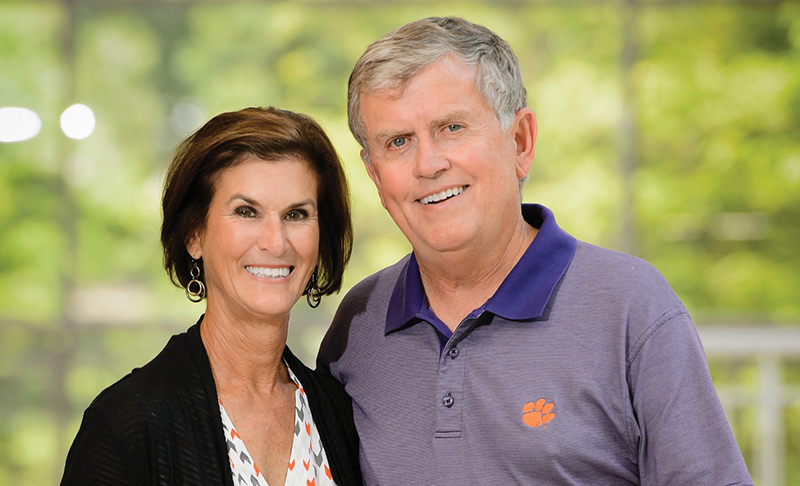 In 2014, the Barnes family made a gift to Clemson, allowing the Sheep Barn to be transformed into the Barnes Center.